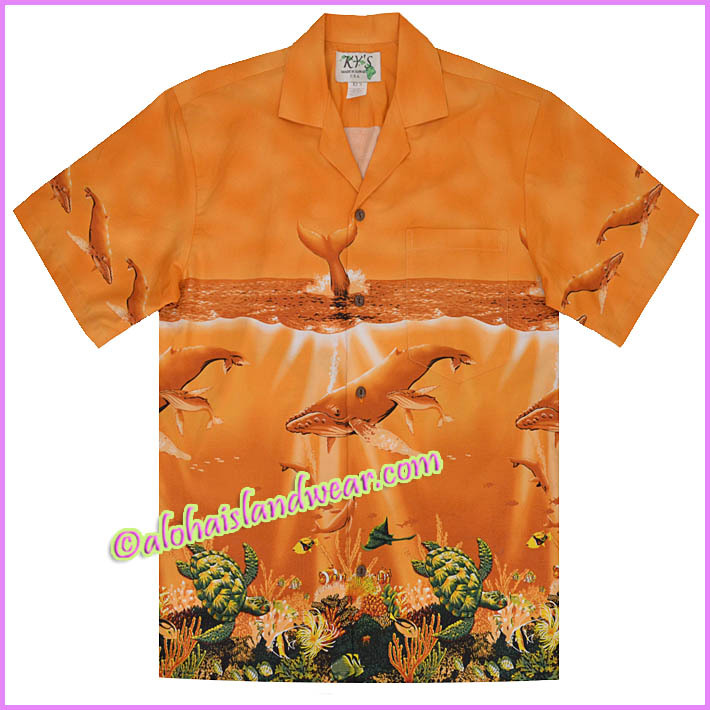 Traditional Hawaiian shirts with beautiful humpback whales print are made in 100% cotton, these aloha shirts have a matched pocket and use coconut buttons, our high quality Hawaiian Shirts are loose fit for comfort wear. 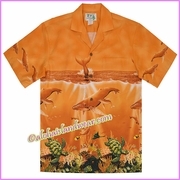 Great island wear for work, company uniform, Hawaiian beach wedding, Hawaii luau, travel or giving away as an Aloha gift. Matching women Hawaiian dress, boy aloha shirt and girl dress are also available for most Hawaiian prints.